Three weeks ago, a seminary professor and Baptist pastor committed suicide. Very rarely do we find out what leads a person to such a rash act, but in his case, the answer was clear. Six days prior to his death, it was revealed that his name was on the list of customers of Ashley Madison, a website whose tagline is, “Life is Short; Have an affair!” This site was a dating service designed for people who were looking to commit adultery. Hackers targeted the site, stole a list of potential customers, and told the company to shut down or they would release the names. The company refused, and the hackers made good on their promise. Despite the fact that many of the names on the list were fake or not actual customers, the release of these names has had tragic results. Ed Stetzer, Lifeway’s head of research, expected up to four hundred church leaders to resign as a result. Police have connected at least two suicides to the list. The story is heartbreaking. So many homes have disintegrated after a husband or wife was revealed to be on the list. The ripple effects continue to spread. Someone decided that it would be profitable to launch a service to facilitate affairs. Enough people were interested in affairs that it became profitable with over 25 million users. People who despised the premise of the site took matters into their own hands and illegally compromised their data after attempting to extort the company. Others have targeted those who are on this list in attempts to blackmail and extort the individuals. An educated minister who has taught of grace, forgiveness, and reconciliation, couldn’t imagine being the recipient of those things and believed suicide was his only option. Friends, our world is broken. Sin affects us at all levels. Maybe news likes this helps break us out of our delusion that everything is as it should be. It is not! This is precisely the reason that Jesus came—for our sickness, brokenness, and sin. “Apologetics” isn’t the same as apologizing. “Apologetic” comes from a Greek word that means to make a defense or a response. It is a legal term, so imagine that you are the accused in a courtroom. The prosecutor lays out the case against you. After the prosecution rests, your attorney stands to make your defense—your apologetic. The word is used in the legal sense several times in scripture in Acts 22:1, 25:16, 1 Corinthians 9:6, and 2 Timothy 4:16. When we talk about apologetics, we are talking about making the defense case for Christianity. How do you respond when someone asks you one of the hard questions about Christianity? 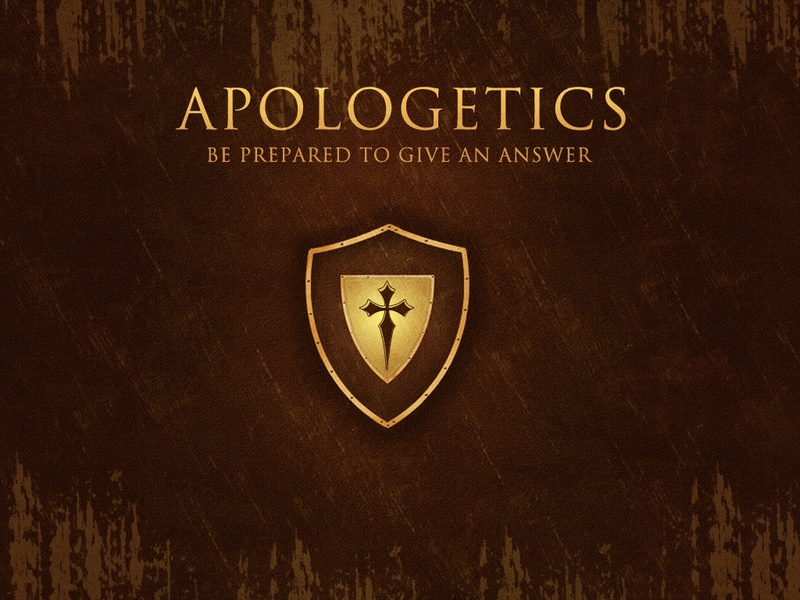 Why, Who, and How are the three great questions of apologetics. Which one needs more attention in your life? All three will be part of our upcoming quarter of Sunday School at Burns Church of Christ on Sundays at 9. We’ve got special guest speakers Doug Couch, James Hinkle, and Joe Deweese helping with the class. I hope you’ll plan to join us!